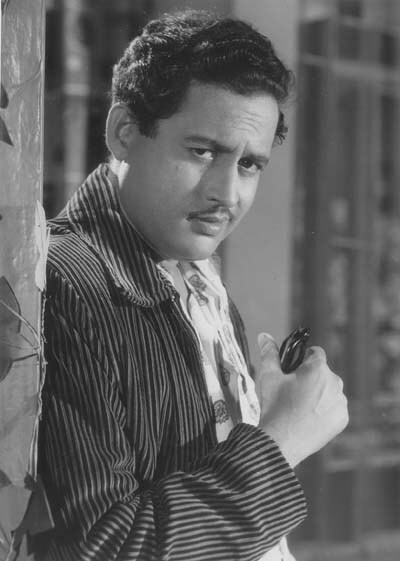 A tribute to Guru Dutt on his birthday! The Chaplinesque Raj Kapoor perfected the role of the naïve simpleton and his lady-love was more often than not played by the graceful, ethereally beautiful Nargis. The duo was the number one romantic couple of their time, worked in 16 films, and gave hit after hit in Andaaz, Barsaat, Awaara, Shree 420, Chori Chori. Rumors of a real life liaison between them were rife and alive even after Nargis married Sunil Dutt. Nargis’ often well-grounded, educated and poised character was the perfect foil for Raj’s tramp and simpleton with a big heart.